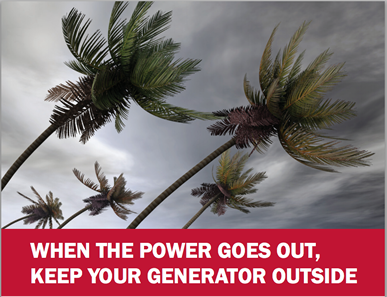 Portable back-up generators produce the poison gas carbon monoxide (CO). 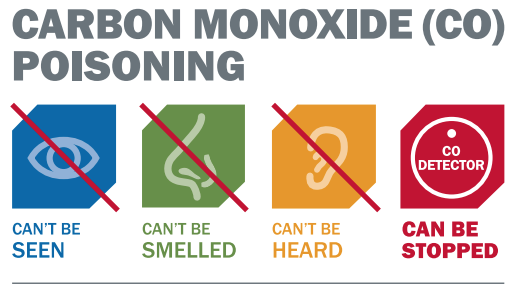 ?CO is an odorless, colorless gas that kills without warning. ?It claims the lives of hundreds of people every year and makes thousands more ill. ?Follow these steps to keep your family safe. Install battery-operated or battery backup- CO detectors near every sleeping area in your home. This entry was posted in Emergency Preparedness and tagged disaster preparedness, emergency preparedness, power outage, prepare, preparedness, safety, severe weather. Bookmark the permalink.